Chandeliers for classic and modern interiors. 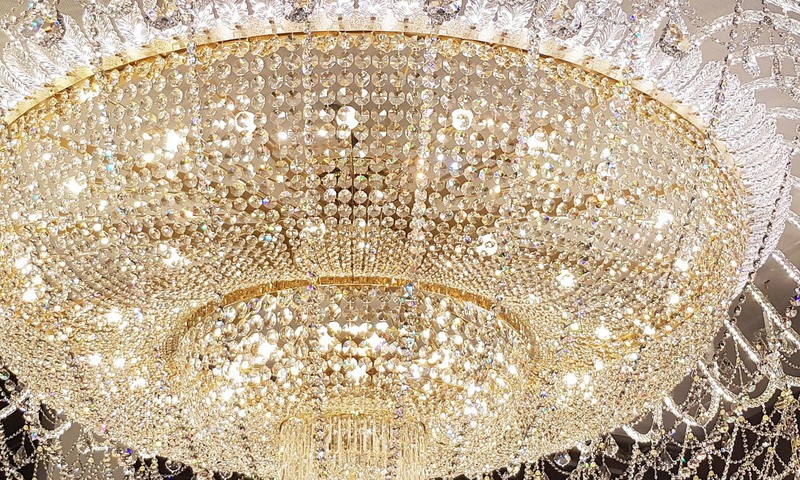 Our chandeliers can be found in hotel rooms, lobbies, restaurants, as well as in casinos, shops and office interiors. We tightly co-operate with designer studios and interior decorators throughout Europe to whom we provide special services. In addition to regular production, we also make lighting to order. In case of big projects, and upon request from our clients, we create 3D models of lights in co-operation with our designers. 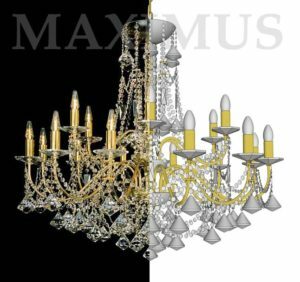 The possibility of purchasing regular components of chandeliers is a matter of course. It is also possible to manufacture spare parts to customer’s specifications. It is possible to have lighting assembled and installed by our technicians directly at customer’s place.